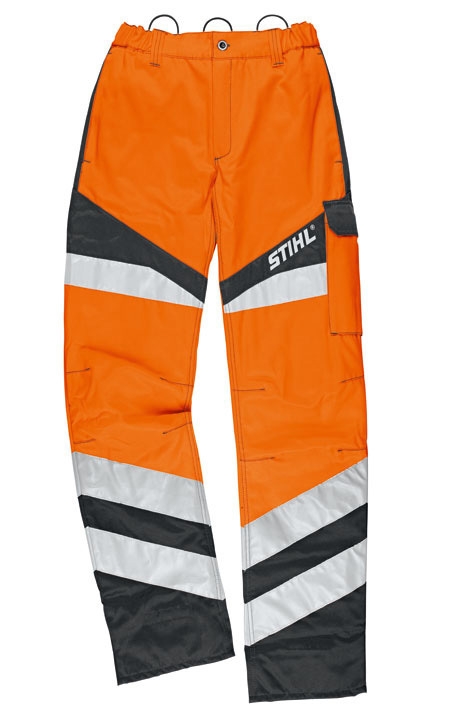 For working on train tracks and streets. High visibility orange colour, 70% polyester, 30% cotton, EN 471, hardwearing outer material, breathable impact protection, reflective strips and long ventilation openings at the rear, loops for FS braces. 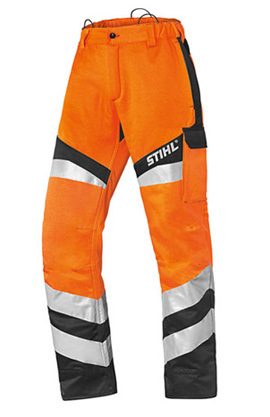 The patented FS leg protection for extreme work conditions can be inserted inside the leg pockets.